Institute of Science and Technology, Tribhuvan University has published notice regarding opening of examinatiion form for M.Sc. CSIT 4th semester of 2072 group and 2nd semester 2073 group of the regular and partial students. 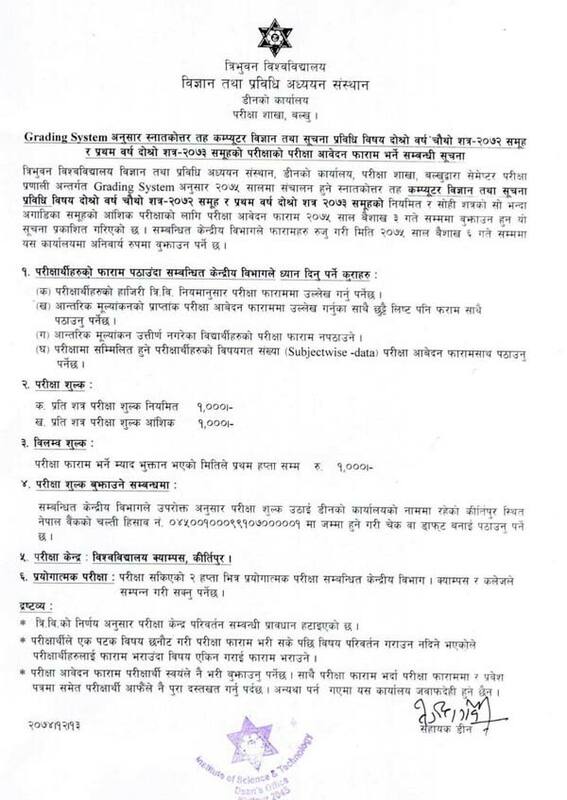 The deadline for the submission of the examination forms is 03 Baisakh, 2074.